RUN TIME - Approx. 20 min. per Episode. Britt Reid (Gordon Jones), Newspaper publisher, With his faithful valet, Kato (Keye Luke),is waging war against organized crime. 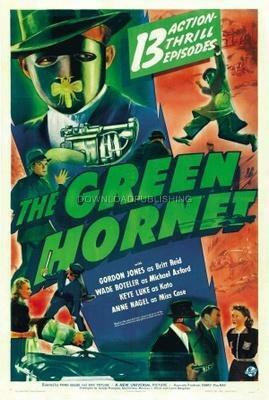 Masked as "The Green Hornet", he hunts the biggest of all game ~ public enemies that even the G-men cannot reach.